Before this great financial crisis ever comes to a close, you’ll see the Federal Reserve copy Europe and also implement negative deposit rates to try and get commercial banks to lend money into the economy. I have absolutely no doubt about it – and it will have three chief consequences for the markets. Let me explain. 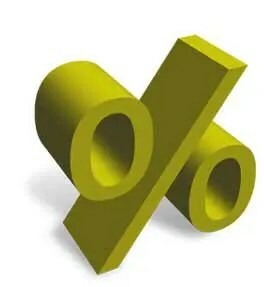 The above are edited excerpts from an article* by Larry Edelson (swingtradingdaily.com) entitled Mining shares: Negative Rates Set Stage for Massive Bull Market. its economy is dying. It is collapsing in the nightmarish consequences of horrendous policy decisions, the most ill-advised of which was the implementation of the euro, not to mention the euro region’s mountain of debts that are going bad. its in a depression – a deflationary depression that will only get worse. youth unemployment is greater than 60%. The above is precisely why the European Central Bank (ECB), headed by Mario Draghi…is now charging any European bank that wishes to deposit funds with the ECB a negative interest rate, or penalty, of MINUS 0.10% but, mark my words, Draghi’s negative deposit rate won’t matter one iota when it comes to Europe’s depression. Europe’s depression will only end when the euro breaks apart at the seams and each country is allowed to take back its native currency, devalue it and stoke the flames of inflation. Until then, Europe will continue to sink deeper and deeper into depression and, the longer Europe’s policymakers try to stick to the hair-brained single currency, the worse the social chaos in Europe will become, as the war cycles I have been telling you about ramp up ever higher. What negative central bank rates mean for the markets is the heart of the matter for us investors. Since negative rates have hit Europe first, we should now see the euro’s demise accelerate as there is nothing to prevent European banks from taking their excess funds and depositing them into banks in other countries where they can indeed get a better return, instead of being penalized and that’s going to depress the euro, and cause other stronger currencies to rally: Asian currencies, and especially the U.S. dollar — which is now clearly in bull mode. We are going to see a renewed bull market in commodities, especially gold, silver and select mining shares. Europe’s economy is in worse shape than most people realize … and the euro is on its death bed – and that means savvy European money is now going to take a fresh look at tangible assets — commodities — again, especially gold and silver. It’s a huge boon to mining shares, just like it was in the 1930s, when Europe last went bankrupt. Dome Mining soared from $6 to $39.50, a 558% gain. Thing is, this time around, the gains in mining shares will likely be far greater, even greater than they were in the first phase of gold’s bull market from 2000 to 2011. 1. Due to gold’s three-year bear market, many mining shares…[have been] completely destroyed and, as a result, there are now only a handful of mining shares that savvy investors would want to buy. That means a rush to buy the best of the best, which will rocket their share prices higher, multiplying investors’ money many times over. 2. As the war cycles continue to ramp higher and the world enters an almost unprecedented period of social chaos, the flood of money into commodities and mining shares will become ever greater. *www.swingtradingdaily.com/2014/06/09/mining-shares-negative-rates-set-stage-for-massive-bull-market/ (Copyright 2014 SwingTradingDaily.com All Rights Reserved ; P.S. To help you position yourself to ride this tsunami of rising stock prices, I have a special gift for you: My FREE Dow 31,000 Preparedness Kit. Click here to get your copy now!